It’s time to fill the Christmas stockings with goodies and gifts – and what is better than to include a Christmas gift voucher from the Unicorn restaurant. 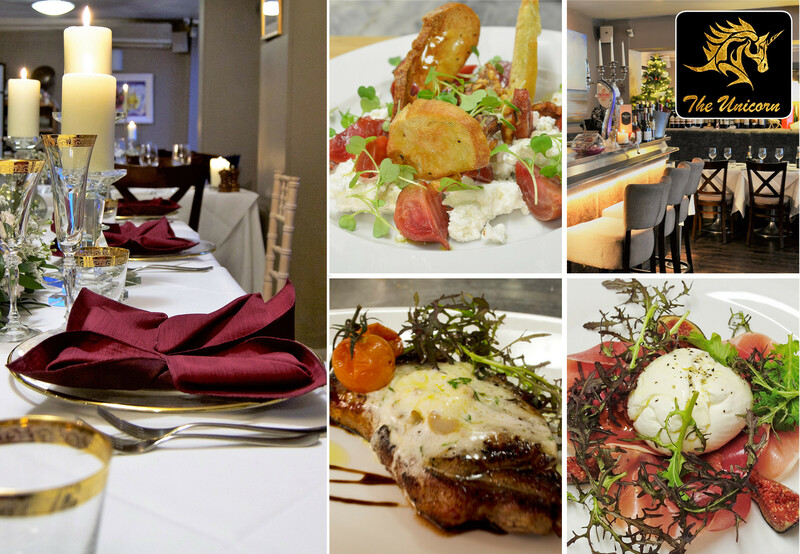 Treat your parents, partner or friends to a long lunch or evening out in Dublin’s oldest Italian and long-time favourite restaurant. Under new ownership for over a year, we’ve retained the old world charm and ambience while creating an exciting and interesting menu with old favourites and new Italian dishes. Focused on serving you fantastic pasta, meats and fish, everything is freshly prepared by our chefs using the best local and Italian sustainable products. We’ve kept it simple and flexible – a €100 gift voucher for €65. The voucher can be used against our full à la carte & wine menus allowing you enjoy the best the Unicorn can offer without restrictions. And after dinner why not round off the night with some lively late night music and a cocktail in our No.5 piano bar. We’ve restored the old piano bar and heated smoking area at the end of our secluded laneway and it’s fast becoming the place to go. So a very happy & peaceful Christmas and many thanks to all of our friends and customers for all your support throughout the year – we’re looking forward to seeing you all again soon. The Unicorn is the ideal city-centre location for lunch, dinner or group/team/corporate event. We have private areas and are available for exclusive hire. Check Unicorn Catering for your home, office or wedding event in 2017.